Did you see My Giant Life on TLC the other night? I did, and I figured I would share my thoughts. If you didn’t know, My Giant Life is a 5 part series that follows the lives of 4 very tall women as they navigate through this not so tall friendly world. Here’s a rundown of the characters. There is 6’9″ Lindsay. She is an actress and former wrestler who is looking for the father she hasn’t seen in 16 years. There is 6’9″ Nancy. She is a 17 year old basketball star who just wants to go to prom. There is also 6’7″ Haleigh who is trying to get the approval of her 5’8″ boyfriend by her father. And finally, there is 6’6″ Coco, former volleyball player who is looking for love. They all seem like lovely people who just want to share what it is like for them to just live their lives. That is what I appreciate about this show. That it lets “normal” sized people see what it is like from our perspective when they stare or make ignorant comments. It is my hope that it opens someone’s eyes and gets them to think twice. Probably won’t. I wonder if normal people would even watch this show but I am optimistic. But notice how these photos are taken from below and how the girls are seated in what seems like tiny chairs to make them look even bigger. That is a little annoying to watch. The storyline with Haleigh and her boyfriend, Bryan got me thinking the most. As I mentioned before, she is 6’7″ and he is 5’8″. That is almost a foot difference. And then add in the fact that her mom and dad are 6’2″ and 6’7″ respectively so the poor guy is definitely the odd one out in this family. Haleigh and Bryan both mention that Bryan gets made fun of a lot for his height by her parents and the running joke is that Bryan would “ruin the gene pool”. Bryan wants to marry Haleigh but has to get the approval of Haleigh’s father first (at Haleigh’s request). So it made for a very awkward scene to see Bryan visibly nervous, asking this much bigger man putting on his most intimidating look for his daughter’s hand in marriage. The father agrees on the condition that they wait at least 2 years. Was her father telling them to wait just to throw his weight around or was he genuinely concerned that they weren’t ready and that getting married would derail Haleigh’s pro volleyball career and her other dreams and aspirations. I can understand if it is the latter. Haleigh is only 22 after all. I think Haleigh is a better woman than me because I don’t think I could date someone that short. The show showed what is like for them out as a couple. They talk about they usually find a curb for him to stand on when they are out so they can kiss. I have to say how odd they look at first sight but they seem genuinely in love. Watching their story made me wonder what my father would do in that situation. What would he do, if I brought home a dude who was a foot shorter than me. So I asked him. Would he make fun of him, be rude and etc? “Ultimately the decision is yours,” he said. “The only one who has to deal with it is you.” His only concern is that the guy cares for me. Plus he wants us (my sister and I) to steer clear of basketball players because they are crazy. His words. He also said that he wouldn’t make fun of him but I am not sure I buy it. 17 year old Nancy’s story was also interesting to see. She comes from a tall family, with her mother at 6’7″, her older brother is 7’1″ and her younger brother is 7’3″. But her stepdad is only 5’10”. When I first posted about this show on my FB page, someone commented that they hoped the show wouldn’t just be about the problems that tall people face. Admittedly, they do talk a lot about the challenges that they have. Most notably, in Nancy’s house, having to load and unload the dishwasher. It seems I have a kindred spirit in Nancy because I hate doing the dishwasher too. And the stares. And the comments. And there was this one part when Haleigh had to bend completely over to unload her washer/dryer. But they do talk about the good things. Haleigh and Nancy both mention that they would not have the opportunities or great experiences they have had if they were not tall. If I had to gripe about one aspect of the show, it would be the lack of diversity. All 4 of these women are white and I can’t help but think about why there isn’t at least one person of color. It could be that no women of color auditioned or applied which I understand. I did see the all call for tall women to be a part of a reality show, but maybe most women were like me and didn’t want cameras following them around and having the producers scripting their life. Honestly, I don’t know if I would continue to watch the show. I mean I live it I don’t have to watch it to know what it is like. And I am not a huge fan of reality shows anyway. How real is it really, y’know? Also, I see a lot of cringe inducing moments ahead which I don’t exactly look forward to watching. 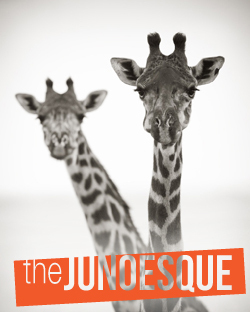 Coco, 6’6″ is looking for love but she doesn’t put her height on her online dating profile. In a clip, her prospective date actually runs away when he sees her. Yes it was rude on his part to walk away without a word to her, but was it fair for her not to tell him at all about how tall she is? Should there have been a point in their conversations before they met where she went, “oh by the way…” And Nancy wants to go to prom but can’t go unless a senior asks her. She has a senior she has a crush on but he is much shorter. A clip shows her friends playing matchmaker and I just see bad things…call me a pessimist. Bottom line: the show was meh. Can’t say I loved it or hated it. Maybe I will give it another try next week. Did you watch My Giant Life? What did you think? My Giant Life is on TLC and comes on Tuesdays at 10 p.m. EST. P.S. Have you checked out my tee shop? 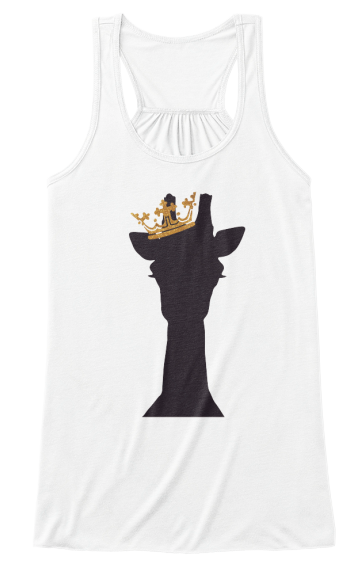 ‘Her Royal Tallness’ tees at Teespring.com! Order now. Campaigns end July 29th. I enjoyed reading this very thorough synopsis since I wasn’t able to watch the show. I can see how you categorize the show as just kind of “meh” and I generally don’t like shows with too many cringe-worthy moments. If it airs over here, I’ll definitely give it a gander out of pure curiosity. Good point about the angle of the photos and the tiny chairs they’re sitting in….what the heck?!?!? Not cool! Your dad’s comment about steering clear of bball players was hilarious by the way. Love that you sounded him out. Thanks Beth! I’m not a fan of the cringe either. Yeah my dad tends to have very strong opinions on certain things and will not mince words lol makes for interesting conversation.